Marcia, I have enjoyed reading all of your books. Because of problems with my eyes, I had to give up the joy of reading for a while but I am back! I am ready for more of Meredith & Hodge and have preordered Quite By Chance. Thank you so much for your order. I’m so glad your eye problems better, I know you are an avid reader, and hope that you enjoy Quite by Chance. Thank you, apologies for delay, I am having major internet problems. But will be emailing you shortly. I hope you enjoy it. I would love to read your book. I enjoy your other ones very much! Thank you so much for your kind comments, I have emailed you a link to pick up your free copy. please send me a link to download your book. Thank you for your interest, I have emailed you a link, I hope you enjoy meeting Meredith. I have emailed you a link, I hope you enjoy learning about Meredith, and I look forward to reading your review. Thank you for your interest, Meredith is an interesting chap. Please let me know what you think. I have emailed you the link to download. Thank you. Please let me know what you think. I have emailed you a link. Thank you! Hope you enjoy it, I’ve emailed a link. Thank you. 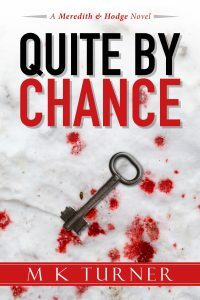 I have emailed you a link, I do hope you enjoy it, I look forward to reading your review. I would like a copy of The Making of Meredith please and will leave a review when I have read it. Nice to hear from you, I have emailed a link. Please let me know what you think. 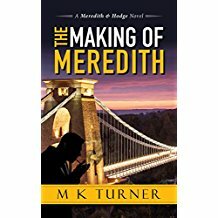 I would love to know more about Meredith and will give an honest review. I have emailed you a link. I hope you enjoy it. Do let me know. Thank you so much for your interest, I have emailed you a link. Hi I would love to find out what happened to Meredith, to make him so guarded and such a complex man. He is a tad complex isn’t he? I have emailed you a link. Thank you for your interest in The Making of Meredith, I have emailed you a link. I have emailed you a link to download. I hope you enjoy meeting the young Meredith.